CNN : watch the latest news on video. BBC news: read the news. Click on the ‘video and audio’ section and watch the ‘one-minute world news’. Yahoo! : on this page you have access to the pages of the different countries in the world. Most viewed: the most viewed news on the US page. 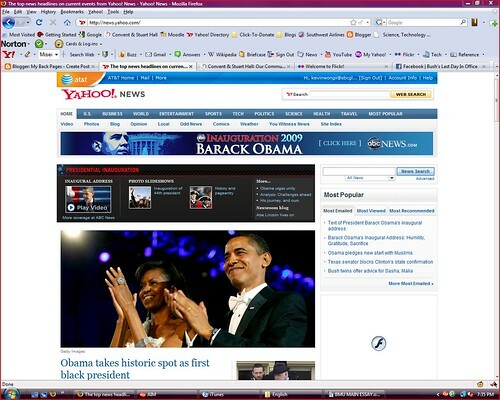 This entry was posted on novembre jeudi, 2009 at 21:15	and is filed under 1ère, 2nde, News. You can follow any responses to this entry through the RSS 2.0 feed. You can leave a response, or trackback from your own site.